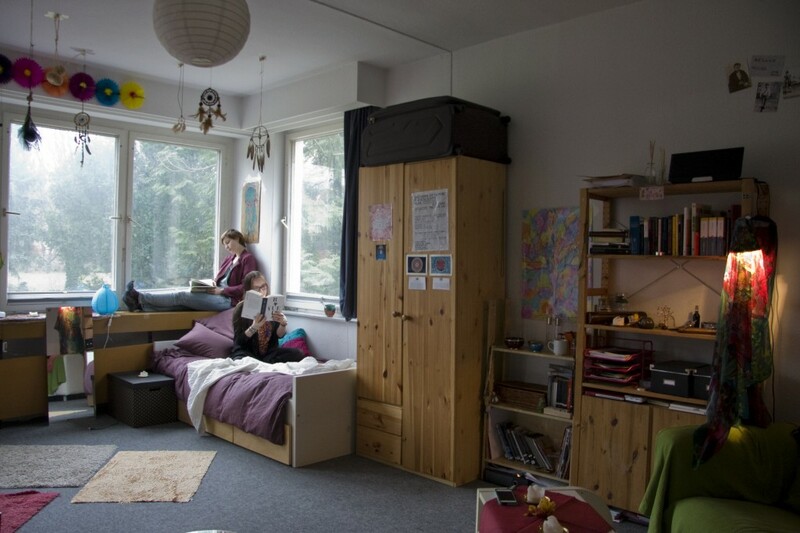 Students at Bard College Berlin tend to entertain themselves with a variety of activities over the weekend: football, mini dorm get-togethers, (over)sleeping, ukulele and guitar sounds (which often travel smoothly through the whole dorm) etc. The diversity of these ventures, as well as the imaginative work put into them, varies as weeks pass by. Nevertheless, once every few weeks, usually when you least expect it, something a little more out of the ordinary happens. One of those college life things you know you will treasure; an unforgettable and ridiculously funny experience, with friends that become your family – even if just for a while. An experience such as: The Musical Café. It does not matter whether you can perform, sing, play an instrument or acoustically produce animal sounds – the only thing that matters is that you contribute to a communal creative output of varying degrees. The event is organized by Alžběta Králíková (BA1, Czech Republic) and Jimena Guerrero (BA1, Mexico), and will take place in their room (ground floor, W16) at 8:30pm on Friday, February 28. Everyone is welcome to join and fearlessly perform all sorts of musical (in)capabilities! The cozy atmosphere of the event will be rounded off with homemade food and drinks. According to Alžběta, who took part in the Musical Café organized in her high school (Pearson College – UWC, Canada), this Friday is a musical bonding time not to be missed. We look forward to seeing you there!